More Product InfoThe next time you need a keystone jack that you can always depend on, you can turn to the professionals at CableWholesale. 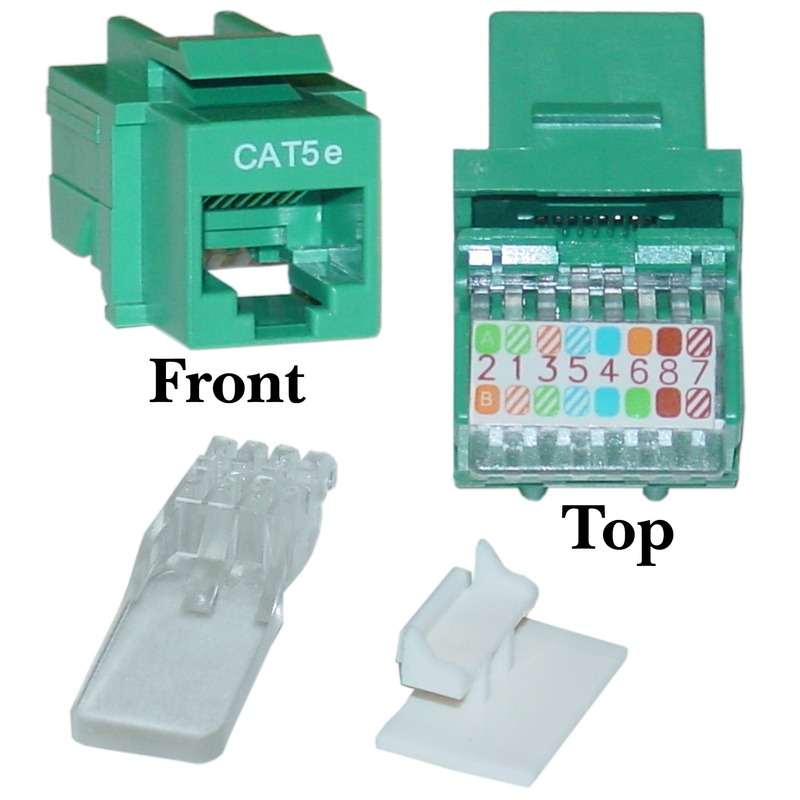 We offer a Green Cat5e RJ45 Keystone Jack that comes complete with a variety of great benefits. After the simple toolless installation process, you can expect this keystone jack to offer a smooth transition from your Cat5e to 110 type punch down connections. It has several features, including its anti-corrosive gold connectors, thermoplastic ABS housing, pure copper conductors, and more! If you would like more information about this keystone jack from the team at CableWholesale, please give us a call today!